An excursion crosswise over New York's most acclaimed intersection prompts Brooklyn Heights, the city's first suburb. This area has a 19-th century feel, blended with a clue of Middle Eastern societies. 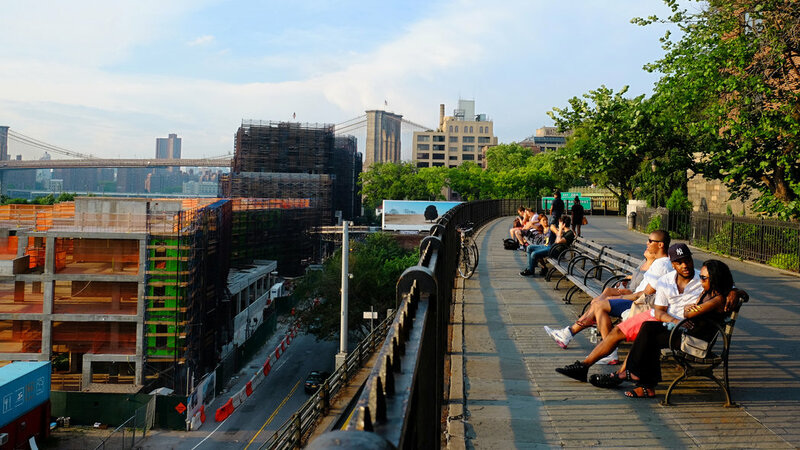 The riverfront promenade has unrivaled perspectives of Manhattan. Getting there: Take subway train 4, 5, or 6 on the Lexington Ave line to Brooklyn Bridge-City Hall ( nearest stop to the bridge).The M15 Second Ave bus also stops at City Hall. Returning to Manhattan, take train 2,3,4,5,M,N, or R from Borough Hall; or 2, 3, 4, 5, M, N, R, or Q from Atlantic Ave.
Stopping-off points: Teresa's 80 Montague St, has polish dishes at reasonable prices. Try Henry's End, 44 Henry St, for fine dining in Brooklyn Heights; Mile End, 97A Hoyt St, for deli favourites; or Iris Cafe, 20 Columbia Place, for good New York food. From the arrival, turn right to steep Everitt Street up Columbia Heights, on to Middagh Street, and along the avenues of Brooklyn Heights. 24 Middagh is one of the most seasoned, implicit 1824. Next take a right on Willow and left on Cranberry; here the town houses range from wooden applaud sheets to block Federal-style to brownstones. Aside from autos and a couple of cutting edge structures, you could be in the nineteenth century. Numerous well-known individuals have lived here. Truman Capote composed Breakfast at Tiffany's and In Cold Blood in the cellar of 70 Willow, and Arthur Miller once possessed 155 Willow. Walt Whitman lived on Cranberry Street when he was supervisor of the Brooklyn Eagle. He set the sort for his Leaves of Grass at a print shop close to the side of Cranberry and Fulton. Another alternative is to remain on Clinton Street and walk the five short pieces to Atlantic Avenue. A left turn here prompts an entire string of Middle Eastern emporia, for example, Sahadi Imports at 187 Atlantic Avenue, which stocks an enormous choice of nourishments. The Damascus Bakery at 195 makes the most tasty filo baked goods. Different shops here offer Arabic books, tapes, DVDs, and CDs. At Flatbush Avenue, look left to the Brooklyn Academy of Music and the fantastic front of the Williamsburg Savings Bank. Look for signs to the metro for your excursion back to Manhattan.